The Menominee Conservation District works with community members to promote healthy agricultural practices, preserve our soils and waters, and protect Menominee County's uniquely healthy, diverse ecosystem. In partnership with homeowners, landowners, non-profit organizations and schools, the MCD provides education and technical assistance. 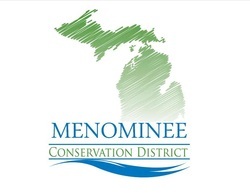 The Menominee and Dickinson Conservation Districts now offer a site preparation and competition control referral service! Check it out here. Please view the Forestry section of the Programs tab on our site for more information and how to get in contact with our new District Forester, Lawrence Sobson. Board Meetings-Every second Thursday of the month, 5:30pm in MCD office. Public is welcome!